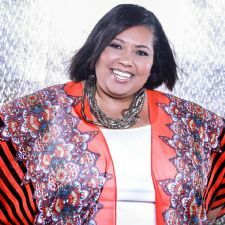 Find a BOSS Profile Business Profile for "Favour Inc"
The creative genius and blossoming business mogul, Alicia G. Barmore, is the Founder and CEO of Favour Events; a multi-dimensional full service event planning, management, and execution firm. With her wealth of industry knowledge and experience, an uncanny eye for detail, and an innate ability to orchestrate one-of-a-kind events; Alicia has turned her desire for people, presentation, and personal touch into a flourishing and world-renown career and business. Established in 1999, Favour Events is the widely recognized hub for all event planning, production, and execution for corporate, non-profits, individuals, private, and small businesses. From con¬cep¬tion to com¬ple¬tion, Favor Events will develop, design, plan and pro¬duce your vision into fruition. Alicia is a trained & savvy negotiator with expertise in budgeting, site selection, and vendor contracts and is skillful in all aspects of event logistics, menu planning, and entertainment. Her clients receive the highest degree of professionalism, integrity, creativity, and a personalized touch that sets each event apart from those of the past. Favour Events has worked with some of the nation’s best vendors and suppliers. “Providing consistent, professional and one stop service all with a commitment to high quality and client relations is a rarity for many, but it is our specialty,” Alicia says. Passion combined with divine inspiration is the driving force behind the success of Favour Events. Her seamless ability to infuse training, entertainment, and decadence into a platform that allows the clients brand to take precedence and not become lost in the event has garnered her recognition as the event specialist to corporate and multi-level marketing brands. Alicia and her well qualified staff are always looking to make the next event better than the one before. Alicia lives a bi-coastal life, working and living between Washington, DC and Los Angeles, CA. She is the proud mother of two young and talented sons.